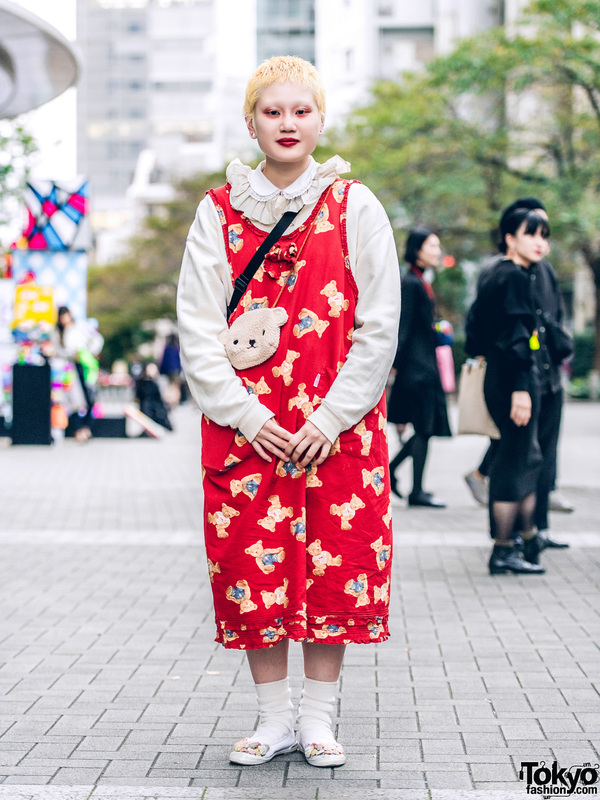 Fashion college student wearing a red teddy bear print dress and floral shoes in Harajuku. 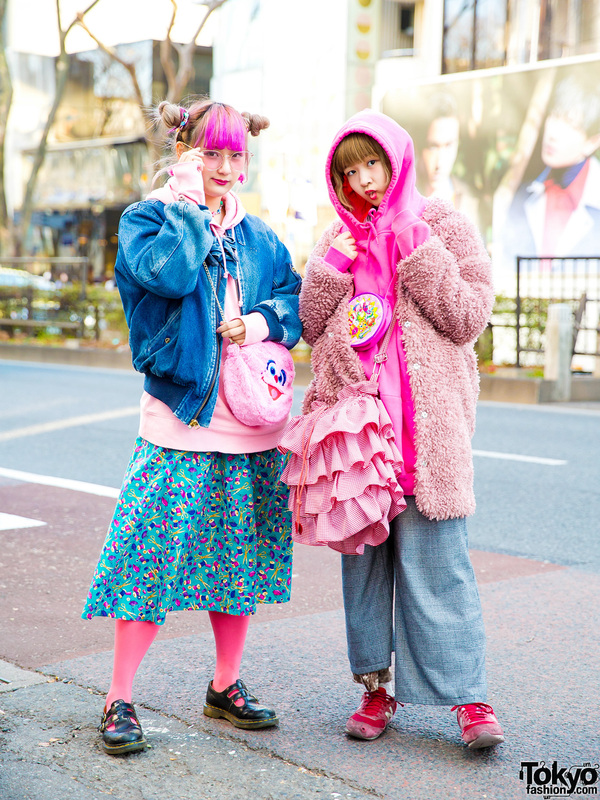 Pink cropped jacket, white ruffle lace blouse, and white textured dress in Harajuku. 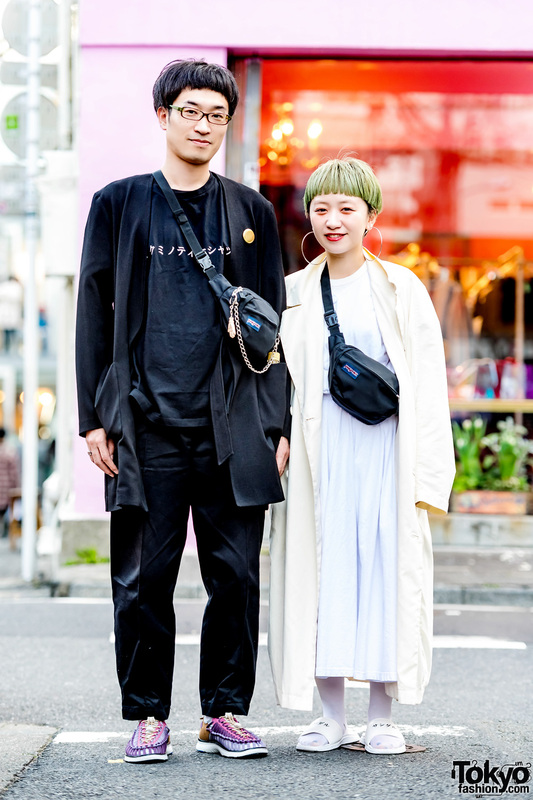 Stylish duo in monochromatic streetwear while out and about in Harajuku.